The fine folks at OTF Gaming were nice enough to let me be a guest contributer. 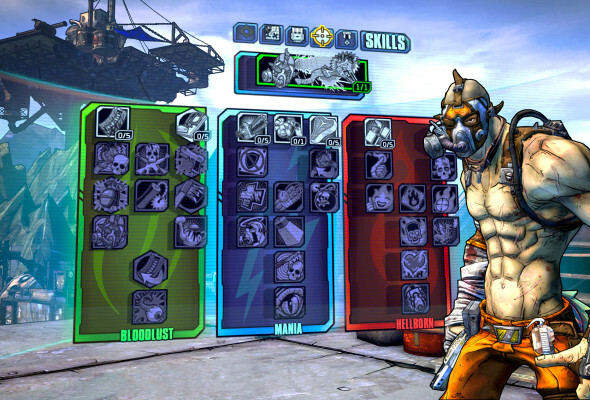 I wrote a piece on Borderlands 2, and my beef with the latest bit of DLC to come out way. Gearbox used to be one of my favorite up-and-coming studios. I loved the first two Brothers in Arms games for the original Xbox. Despite Brothers in Arms: Hell’s Highway being a miss (at least in my book), I held the faith. Then the studio that I adored gave us Borderlands. Now, I didn’t play the title as much as most, but I loved that the game combined the progression and loot drops of Diablo with that of a competent shooter. Then Duke Nukem Forever came out. But my blind fanboyism wrote it off. “The game was practically made before Gearbox got a hold of it,” I told myself. “They’ll do the IP justice when they can start from scratch.” I, like many others, was in a state of denial. Full write-up here. You get to see a pic of a younger me and know my full name. Just don't kill me, I've got a great life and family! You're welcome to stop by and have a cup of tea though! Yep Gearbox is dead 2 me. Me too. They have a lot of goodwill they need to earn back. Dunno if they can, especially from me! Aww, bummer. I wrote for those guys a while back and the site has since gone defunct. I'm pretty much writing solely for my site now. Anyone I contribute to has to allow me to keep my own content so I can also post it on my site. So long as I'm alive and kicking, my stuff will always be there for your viewing pleasure. I appreciate your interest, good sir! Thanks for reading and trying to keep up with some of my pieces! Damn shame as this was one I was really proud of. Shouldn't be a problem for any content moving forward as you'll be able to find it at my blog. Again, thanks for reading bud!